CPD stands for Continuing Professional Development and refers to the process of tracking and documenting the updating of the practitioner's professional skills, knowledge and experience, gained both formally and informally through their work experience and beyond initial formal training. This is a record of what the registered professional experiences, learns and applies, demonstrating their ability to work safely, legally and effectively. All health care professionals are required to continually update their professional knowledge and skills. Professional responsibility and adherence to this requirement allows patients to benefit. Clinical Education Units (CEU's) are valid for 24 months from the date on which the activity took place (or ended, in the event of post-graduate studies) after which it would they expire. Therefore practitioners should aim to accumulate a balance of 60 CEUs by the end of their second year of practise, and thereafter top-up the balance through additional CPD activities as CEU's will be expiring as they reach the 24 month validity period. The HPCSA conduct mandatory random audits to ensure that practitioners remain compliant, and are required to submit their CPD portfolio to Council as requested. SADA recommends that Practitioners ensure that they receive certificates for all accredited attended activities. The provider of the activity is responsible for the issuing of the certificate to the attendee. All attendance certificates and relevant documentation should be stored in a safe place for easy access if required for auditing purposes. 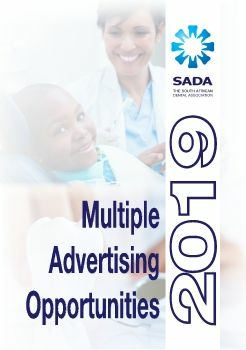 SADA runs a CPD MCQ programme from the ten annual issues of the SADJ. SADJ MCQ may be completed online if you are a SADA Education member. SADA members can accumulate all their CEU's through SADA activities, via the SA Dental Journal, as well as accredited SADA Study Groups, Branch Events, Congresses and any other online learning on offer. Further guideline information from the regulatory body is available here. For complete CPD guidelines from the statutory body please visit http://www.hpcsa.co.za/cpd.